One young woman looks to the future of space flight and one must suddenly practice the old sailing techniques of a bygone era. Both find adventure challenging traditionally male-dominated roles in two standout animated short films included in the 20th Annual Animation Show of Shows (trailer here), which opens tomorrow in New York, at the Quad. 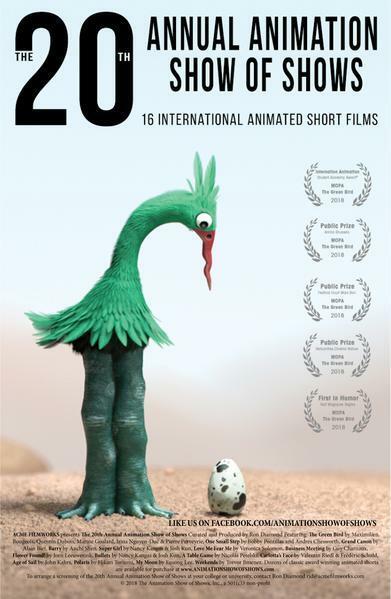 This year’s program kicks off with Pierre Perveyrie, Maxmilien Bougeois, Marine Goalard, Lrina Nguyen-Duc & Quentin Dubois’s The Green Bird, in which a flightless foul struggles to keep ahold of her egg amidst a vaguely post-apocalyptic setting. It is generally sweet, but her woes might be too intense for younger viewers. The tears really get jerked in Bobby Pontillas & Amdrew Chesworth’s One Small Step, which is one of the best films of the year, of any length. 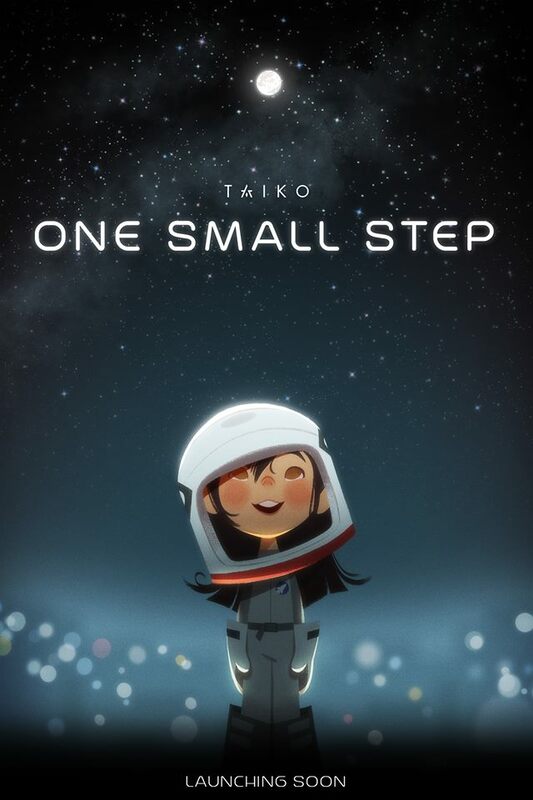 It depicts the sacrifices made by a humble Chinese-American cobbler to help his daughter pursue her dream of becoming an astronaut. Some scenes have the charm and whimsy of Calvin & Hobbes, but the film’s idealism is especially refreshing. Frankly, this film will recharge the batteries of everyone who was underwhelmed by First Man (extended review here). 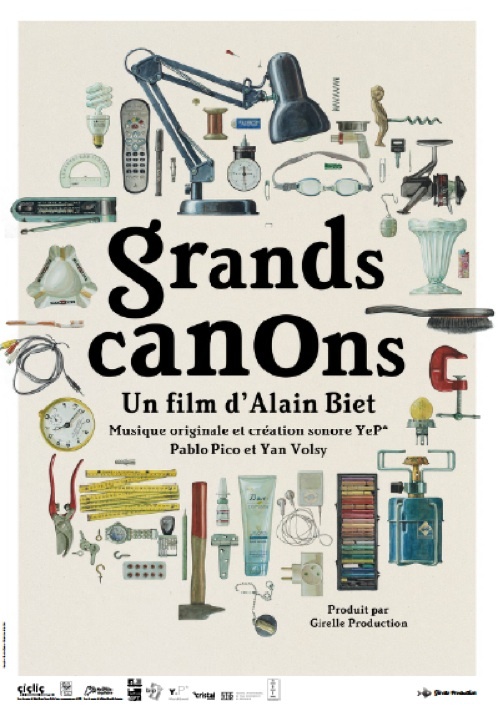 Alain Biet’s Grand Canons is the sort of non-narrative short that is usually just summarized with a dashed off line or two, but the artistry it represents deserves serious consideration. Essentially, Biet presents viewers with a parade of office supplies and consumers products, reproduced with life-life detail. It is the sort of short that might have appeared on Sesame Street the late 1970s, except it is longer. It is also distinguished by an energetic and sophisticated score composed by YeP (Pablo Pico & Yan Volsy), featuring Yohan Loustalot and Biet on trumpet, Remi Dumoulin on assorted reeds, and Pico & Volsy on percussion. Amchi Chen’s Barry, about a goat with an MD who can only get work as a hospital janitor is cute and funny, but also makes some valid points without getting lecturey. At just under five minutes, it leaves us wanting more. On the other hand, Nancy Kangas & Josh Kun’s Super Girl and Bullets, two one-minute-long films based on the writings of preschoolers are conspicuously message-driven and ultimately make little impression during their limited time. Veronica Solomon’s stop-motion technique in Love Me, Fear Me is absolutely stunning, but the role-playing subtext gets lost in the presentation (but this is a showcase for animation, not message-making, so that’s okay). In contrast, it is impossible to miss the point when Guy Charnaux satirically skewers corporate double-speak in Business Meeting, apparently based on a short story by Brazilian writer Rafael Sperling. Imagine Don Hertzfeldt and Bill Plympton collaborating on an episode of The Office, except it is twenty or thirty times weirder. Jorn Leeuwerink’s Flower Found! just might be the most subversive film of the year—any year. It starts out as a cute animal tale in which all the forest creatures help a mouse look for his missing flower, but it takes a dark turn that illustrates the dangers of group thinking and mob justice. Seriously, this one is not for kids. It will even leave a mark for most adults. Nicolas Petelski’s A Table Game is a rather elegant work of surreal absurdity that credits Estonian animator Priit Pärn as an artistic advisor, which tells you everything you need to know, if you are familiar with Pärn’s work. There is no denying the good intentions or striking style of Valentin Riedl & Frederic Schuld’s Carlotta’s Face, but the real life story of a high school student coping with facial blindness keeps viewers at arm’s length with its abstractness. 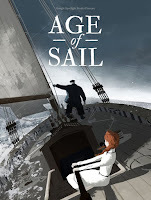 Technology is disruptive in John Kahr’s Age of Sail, but there is no substitute for an adventurous spirit. 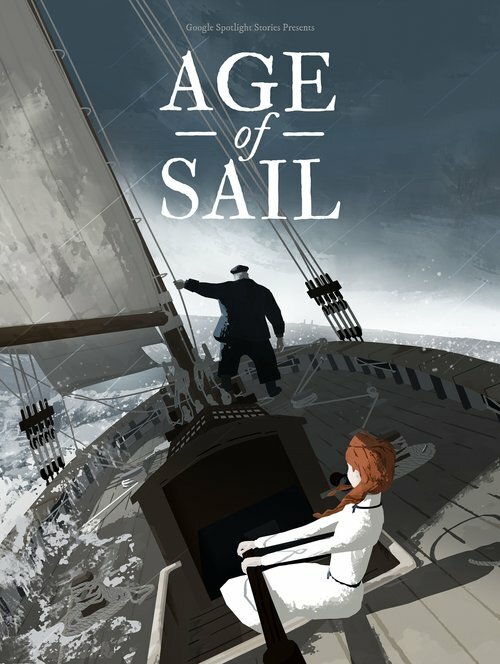 The old captain of a sailing vessel picks up a girl who fell off one of the steamships that rendered him obsolete. The problem is the salty skip set out without any food or water—just rum. There is a real Jack London favor to the film, but its sensibilities are much more modern. It is a good sea story that features the voice of Ian “Lovejoy” McShane, as an added bonus. You will want to call your mom after watching Hikari Toriumi’s Polaris. It is sweet but never saccharine, featuring polar bears and penguins. As a mother-son film, it pairs up perfectly with One Small Step. Arguably, Eusong Lee is working with the biggest canvass throughout My Moon, featuring personifications of the Sun and Moon in a star-crossed romance. Although it sports a much brighter color palette, but there are elements of this allegory that bring to mind Jonathan Ng’s Requiem for Romance. Perhaps fittingly, this year’s Show of Shows ends with the short film many Oscar pundits are predicting could go all the way. Trevor Jimenez’s Weekend is a realistically messy divorce drama, told from the perspective of the kid stuck in the middle. The animation is stylized, but it clearly reflects our world. Yet, maybe the gutsiest aspect is Jimenez’s use of Dire Straights’ “Money for Nothing” as a recurring motif, considering how iconic that computer animated video has become. This is a strong program of shorts, featuring three selections (Weekend, One Small Step, and Age of Sail) that made the academy shortlist. Step and Sail are can’t-miss films, but even the less engaging shorts are worth seeing for the quality and unique vision of their animation. Recommended for older, general audiences, the 20th Annual Animation Show of Shows opens tomorrow (12/28) in New York, at the Quad.